Home > Oil, Chemicals, Utilities > Power / Electric A-J > Dominion Resources, Inc. 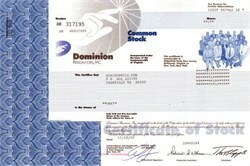 Beautifully engraved certificate from the Dominion Resources, Inc. 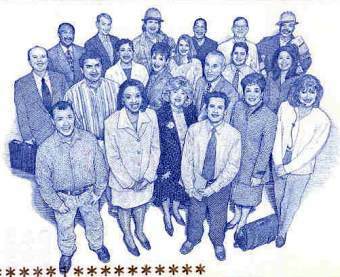 This historic document was printed by the American Banknote Company and has an ornate border around it with a vignette of the company logo and employees. This item has the printed signatures of the Company’s President and Corporate Secretary. Dominion also serves 3.8 million regulated natural gas and electric customers in five states; and, owns a managing equity interest in Dominion Fiber Ventures LLC, owner of Dominion Telecom.